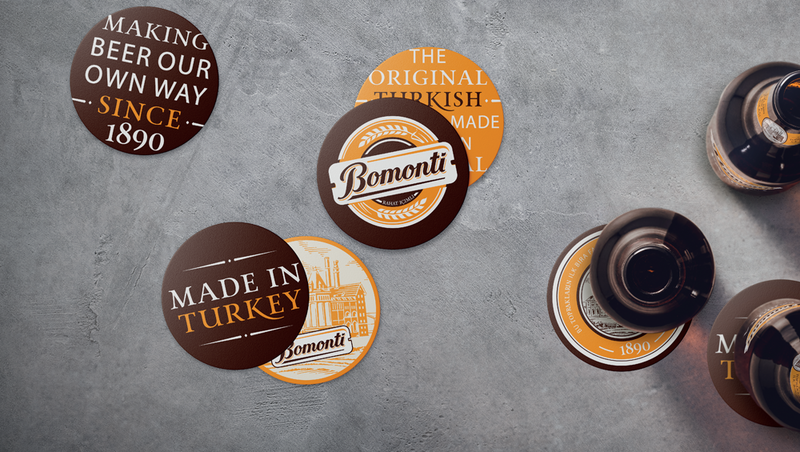 Bomonti is the oldest beer brand in Turkey, dating back to 1890. A revival from near obscurity in 2010 saw sales increase steadily, with variants gradually added with various degrees of success. By 2017, packaging across the range had become quite disjointed, and having also experienced a general drop-off in sales, a decision was made to refresh the packaging. 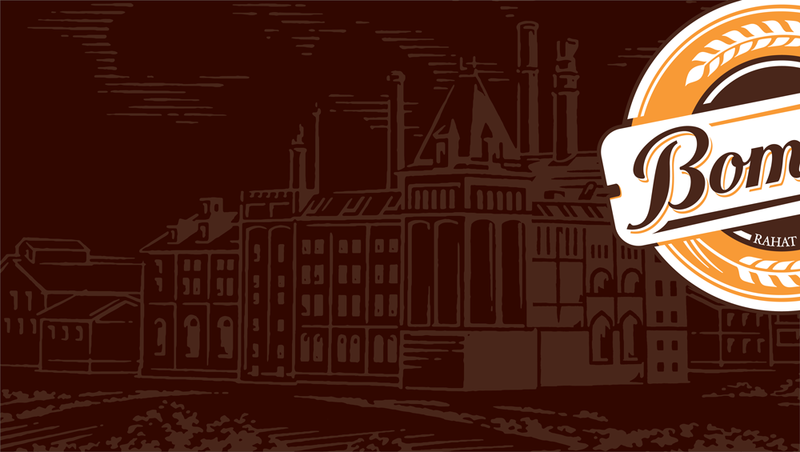 Underpinned by the brand positioning (“Live Your Own Way”), our packaging aimed not to impose any kind of ‘image’ onto the drinker, but rather – by providing something more stripped-back and functional – allow their own characters to be expressed. This idea also features in the back-of-pack story, explaining how Bomonti, itself, has continually bucked beer trends and rather chosen to brew beer its own way. The brand refresh aimed to create a cohesive visual language, while also helping consumers navigate the range. 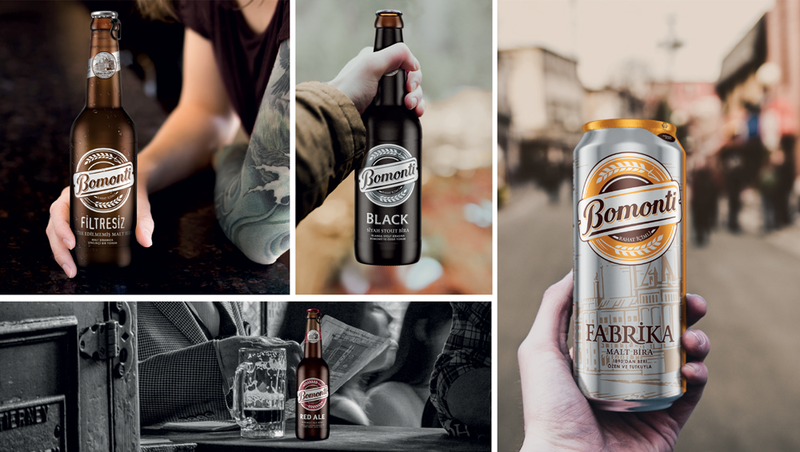 Brown&co was tasked with refreshing the bottle range, completely redesigning a new can, and naming and launching Bomonti’s new stout product. Our first step was to refine and craft the word mark and barley illustrations. It was also decided to simplify the colour palette in order to create an easy-to-navigate variant portfolio, with our rich brown maintained as the overarching brand colour. 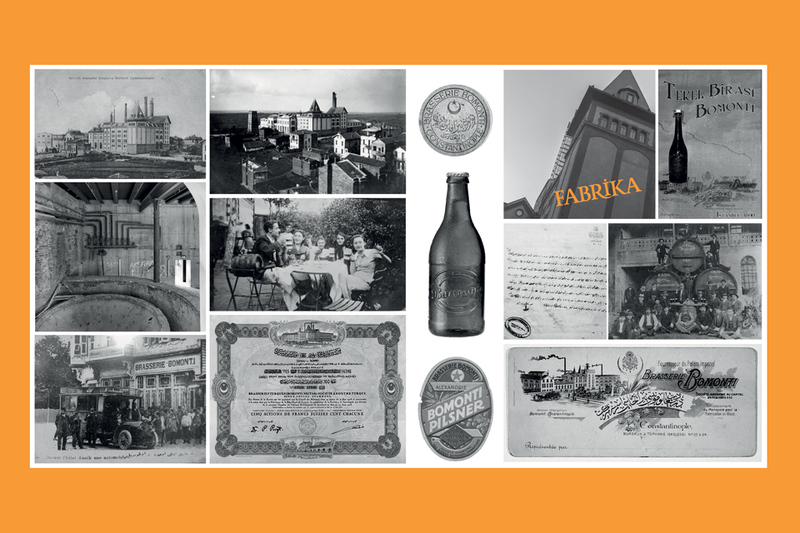 In order to bring the Bomonti story to life, using a photograph of the original factory in 1890, we created wood engraving style illustrations that simultaneously felt both old and contemporary – helping the brand feel authentic yet relevant. 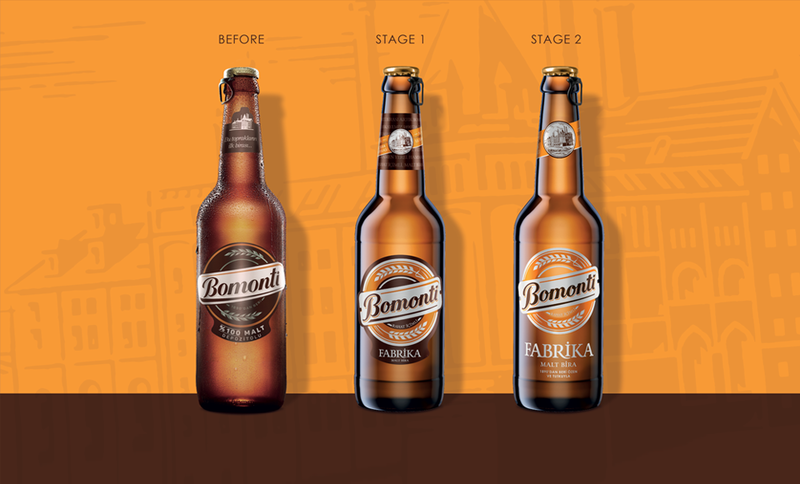 A process story features on the back of the can, educating the Turkish beer-drinking market, while also positioning Bomonti as a leader in beer. 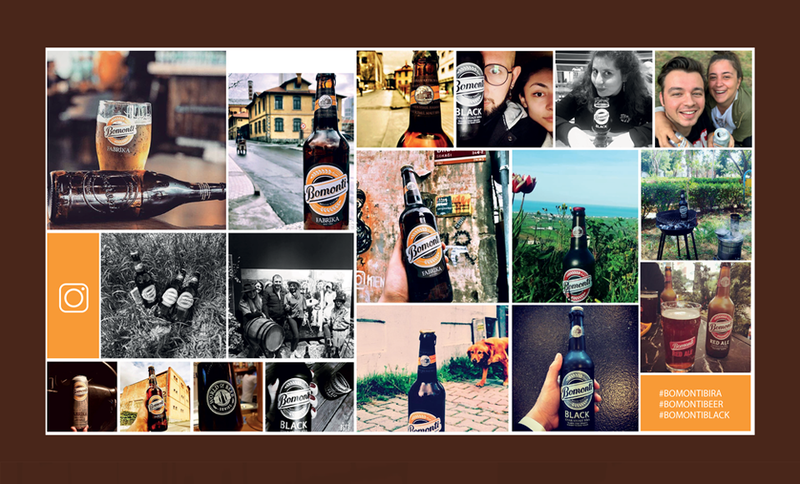 As in many emerging markets, holding a fancy beer in Turkey has become a way for consumers to both show-off and impress. However, a growing base of drinkers is now beginning to see through this ‘shallowness’ and demand more authenticity – of brands and each other. 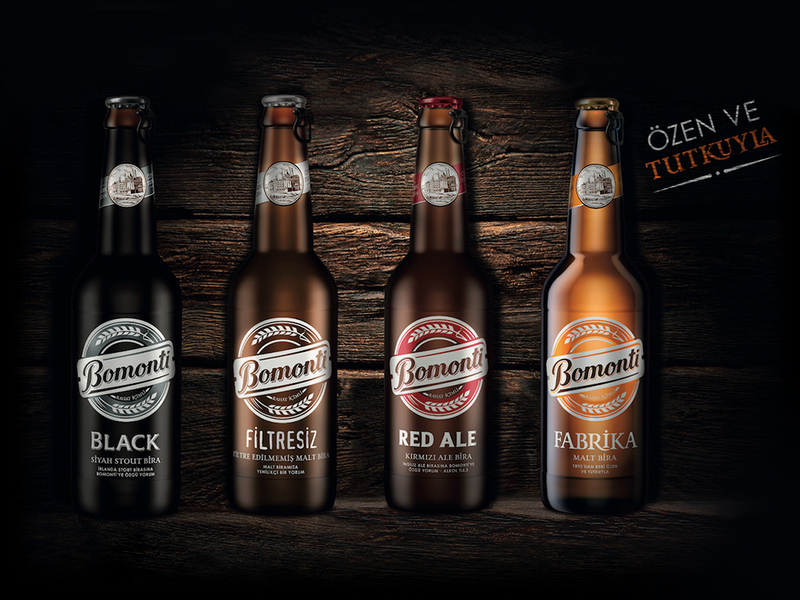 Bomonti aims to lead in this trend, so a raw honesty permeates the packaging designs – also serving to communicate the brand’s craft credentials and real brewing heritage. To further create a sense of honesty and transparency, the Bomonti word mark has been crafted and rebalanced to work with ACL (applied ceramic labelling), which is printed directly onto the bottles. Paramount was to make the range easy to navigate, while still maintaining key design principles for the full brand family. The new range of bottles was relaunched in February last year, with an almost immediate and steady uplift in sales. The new can was released in April 2018, and outstripped annual forecasts in just over three months. More remarkable was that one of these launch months fell during Ramadan, a time when Turkish alcohol sales traditionally drop by around 30%. 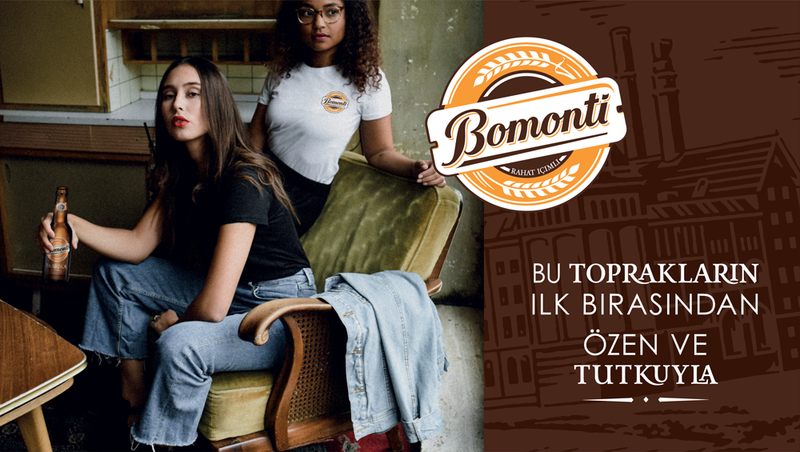 Furthermore, with no alcohol advertising or other marketing support permitted in Turkey, the success of Bomonti since relaunch can only be attributed to the new packaging. 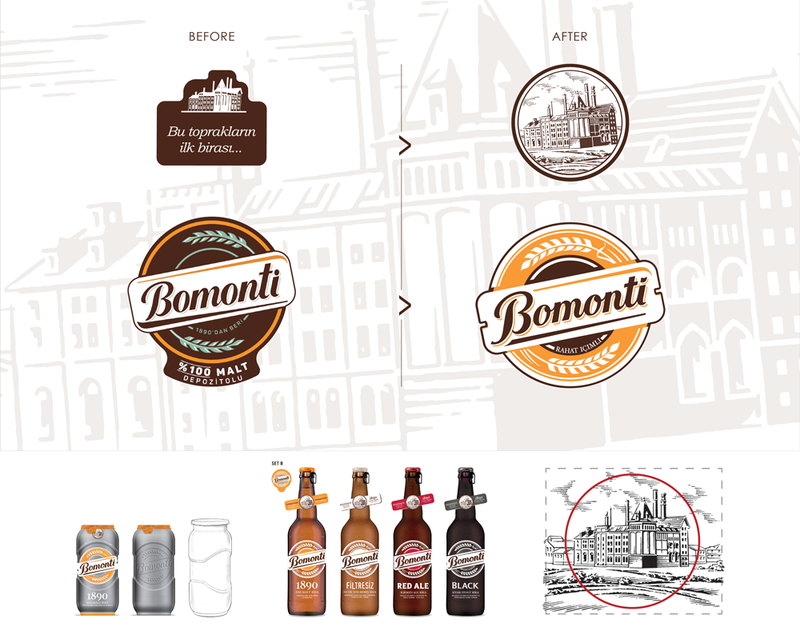 Bomonti’s packaging case study has recently received a DBA design effectiveness award.